The main difference between the two types is title (ownership) of the one can be transferred to another party while the other is consigned to a named party and hence he/she has to be the final recipient of the cargo as the title of this type of bill of ladings cannot be transferred. Readers should not confuse the negotiable and non-negotiable types of bill of ladings with the “negotiable” and “non-negotiable” copies of signed bill of ladings. The straight bill of lading is specified to the particular party and the specified party cannot re-assign it to anyone else. The party only has to take the delivery of the cargo and the cargo cannot be sold by transferring the bill of lading to another party’s name. Q: Can you think of an example when straight bill of lading can be and will be used? This is the bill of lading that one would mostly come across onboard. The bill of lading is to the consignee or to his order. That is the named consignee will be the owner of the cargo or he can order the shipment to be delivered to another party by endorsing the bill of lading to that party. As the title (ownership) of the bill of lading can be transferred, Order bill of lading is negotiable document. The bearer bill of lading is the one in which the bearer of the bill of lading is the owner of the cargo and their is no consignee named in the bill of lading. This kind of bill of lading is very seldom found as there are huge risks involved in the misuse of this kind of bill of ladings. Again as the title (ownership) of the bill of lading can be transferred, Order bill of lading is negotiable document. This can said to be the duplicate bill of lading for a cargo of which the bill of lading was already issued. Switch bill of lading is generally requested by the consignee from the owner of the vessel when the consignee do not wish to reveal to the new buyer the identity of the shipper of the cargo. This kind of bill of lading cover more than one mode of transfers (for example, Ocean and rail or Ocean and road) and covers all the mode of transfers. Carrier has the responsibility from place of receipt to place of delivery of the cargo. Carrier can hire/sub contract to carry the cargo in one or more mode of transfers. The main difference between multimodal and through bill of lading is that in through bill of lading there is only one mode of of cargo movement but has different legs, like sea and inland waterways. Whereas in multimodal bill of lading there has to be at least two modes of cargo movement (like sea and land). With respect to carrier’s responsibility, In through bill of lading, carrier is responsible only for their leg of sea transport. Many believe there is no difference between the Multimodal and through bill of ladings which is not correct. 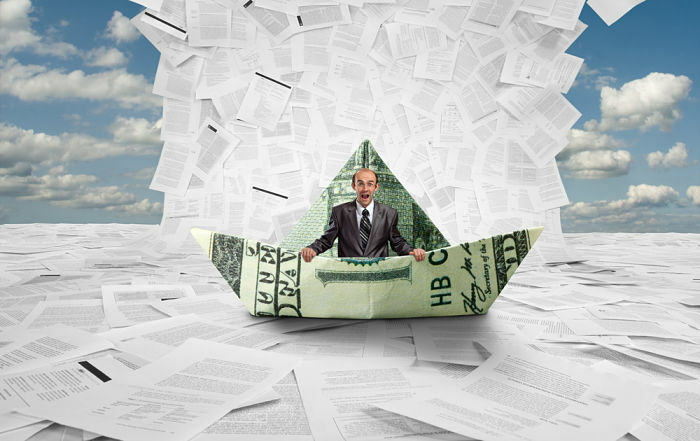 * If you think there is another important bill of lading that has been missed out here, please share in comment section and I would be happy to include that in this blog. maybe also mention shipped vs received for shipping and waybills? kindly also comment on a bill of lading with consignee as "to order" and notifiy (generally mentioning the buyer's name. Sir, can you please clarify What is the meaning of “negotiable” and “non-negotiable” copies of signed bill of ladings?? A negotiable bill of lading instructs the carrier to deliver goods to anyone in possession of the original endorsed negotiable bill, which itself represents title to and control of the goods. ... Because of this, a negotiable bill of lading must be used for a documentary sale. Traditional bill of lading is a document of title so you can transfer the ownership of the goods to another party by means of endorsement or delivery. For this reason buyers have to present at least one original bill of lading to the carrier at the port of discharge. Non negotiable bill of lading is not a document of title. As a result buyers do not have to present at least one original bill of lading to the carriers at the port of discharge. Also you cannot transfer the ownership of the goods to another party by means of endorsement or delivery under non negotiable bill of lading. That is why non negotiable bill of lading is called non negotiable sea waybill. It is not a bill of lading in a traditional sense. Main Differences : Consignee: Bill of lading can be issued in a negotiable form. Non negotiable sea waybill cannot be issued in a negotiable form. You should to indicate your buyers name on the non negotiable sea waybill. Endorsement: Only bill of lading can be endorsed. Non negotiable sea waybill cannot be endorsed. Delivery of Goods: Under traditional bill of lading buyer have to present at least one original B/L to the carrier’s agent at the port of discharge. Otherwise they cannot get the goods unless letter of indemnity is issued. Under non negotiable sea waybill buyers can claim the goods by confirming their identity. from my little knowledge i have about a bill of lading, i think a bill of lading is said to be negotiable when ownership can be transferred by the actual owner to anyone he chooses to claim the goods,and this can be done by signing of a signature. There are two bill of ladings missed which are clean bill of lading and clause bill of lading.please investigate them. These are not types of B/l. Thanks Captain , the blog is very knowledgeable. Split B/ls are issued more or less like the switch B/l. It is a practice usually found with bulk trade where the shipper may sell the cargo at POD to more than one receiver. Simply put one cargo many receivers . Groupage is where many shippers engage one freight forwarder to send their cargo under the same b/l. Receivers may be one or many. Hi, in general if the B/L is termed non-negotiable it does not qualify as a B/l but is then termed as a sea waybill. A bill of lading should be negotiable. dear sir, can you please explain when does a B/L becomes actual contract of carriage. I assume it is an evidence of contract of carriage. Please answer. Thank you sir. generally which type of bill of lading use in tanker trade. Please explain commingle bill of lading. Why master need to be careful while signing a Order bill of lading? ?